After serving in the United States Marine Corps for four years and being deployed to Afghanistan, Neil began to wonder about what was next. He wanted a career that afforded him stability and the opportunity to settle down with his girlfriend. 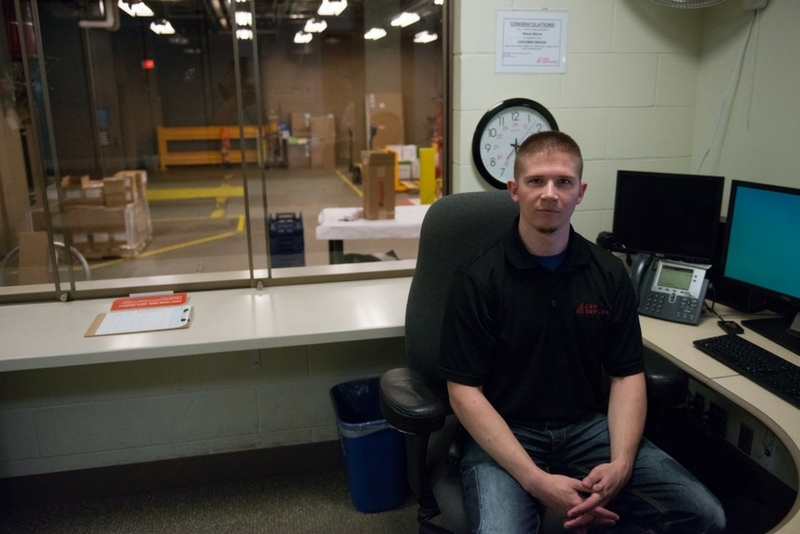 During his time in the Marines, Neil managed ammunition, and he knows that the organizational skills he developed in that role have helped him thrive at C&W Services. Neil’s experience as a Marine also gave him a deep appreciation of safety culture, and he goes out of his way to make sure that each and every one of his coworkers are doing their jobs in the safest way possible. After three years in his current role, Neil believes that facilities management is a fulfilling career for veterans. He’s even recommended a career in facilities management to a few of his friends from the Marines, telling them about how it’s a smooth transition, about how—in a facilities role—they can put the skills they developed while serving to new and interesting uses. “It’s boot camp all over again,” he says with a smile. Neil and the rest of our mailroom, reception, and dock staff across the US and Canada work tirelessly to provide our clients with efficient and effective mail services. Our innovative integration system helps streamline your core business and sustain a competitive advantage through superior dock solutions, document management, mail management, and office support. Outsourcing mail and dock services help our customers focus on their core business while we deliver our expertise in the area of mailroom management. Read about how we’ve delivered successful mailroom services, and see if we can help take your business to the next level. Neil is one of many stories we have from the field that demonstrate how our team’s culture is the backbone of our service delivery success. Get inspired and read more stories about employees just like Neil.